Welcome to my little tribute to Heaven's angels, John Lennon and George Harrison. I love all The Beatles, and they are all great, but John and George have done a little extra something for my life, and this is my thanks to them. 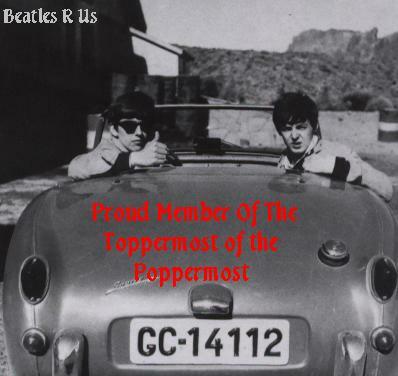 But I will also feature the Earth's angels, Paul and Ringo, because they deserve it. After all, they were four people who made up one. "Hi! My name is Layla and it's nice to kinda meet you. If I could shake your hand, I would, but feel free to shake your mouse or something instead. This is my little corner or the net where I live with my four site mates John, George, Paul and Ringo. Say hello lads!" "Good lads!" (throws them biscuts and laughs) " Anyway, I'm the owner of the whole things, but they will take you on tour. Have fun and DON'T BE CHEEKY! I mean it Lennon!" 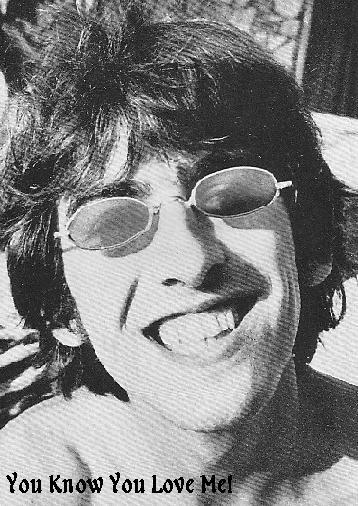 This has to be one of my favorite pictures of George! What a cutie! We miss you George Harrison and John Lennon. But, just like this picture shows, I'm sure they are happily singing together and holding a grand rock concert in heaven. God Bless Them! 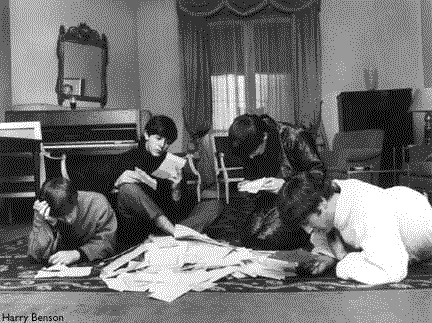 A picuture says alot about a person, so if you aren't familar with The Beatles personalities, take a look at this pic. 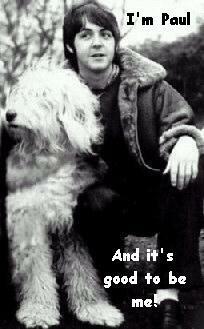 Paul: Why does seem to be that George is your FAVORITE Layla? Paul: WHUT DO YOU MEAN BY THAT? 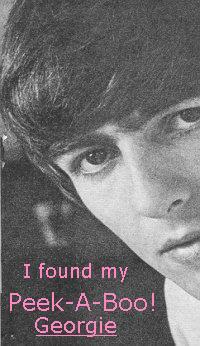 George: (feeling special) There's nuthin' wrong with bein' well loved. 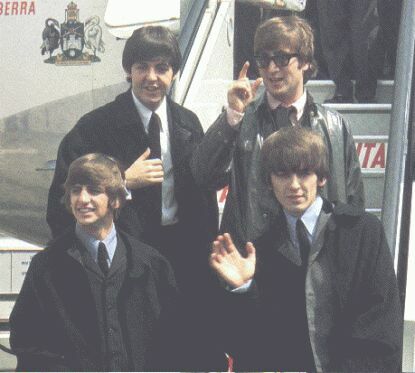 Paul: OOOOOooooooOOOOOO! It makes me sick! John: (cackles) Want some cheese with that whine Paul? I have the link to the fan fiction site near to the bottom of the page. 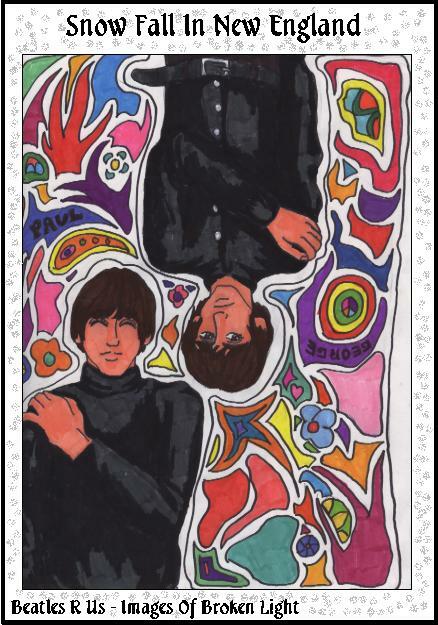 If you are interested in reading it, click on the picuture of George and Paul I drew. You can't miss it! 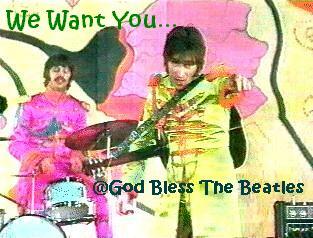 DISCLAIMER: I don't own The Beatles image or their music or anything like that. I'm just a happy lil fan who wanted to spend some time doing something fun with my favorite band. Something legal!